I would like to share 3 wedding templates with you: a Wedding Menu Template, a Wedding Invitation Template, and Wedding Program Template. All of the templates are made using Photoshop, which is a good format for professionally printed documents. 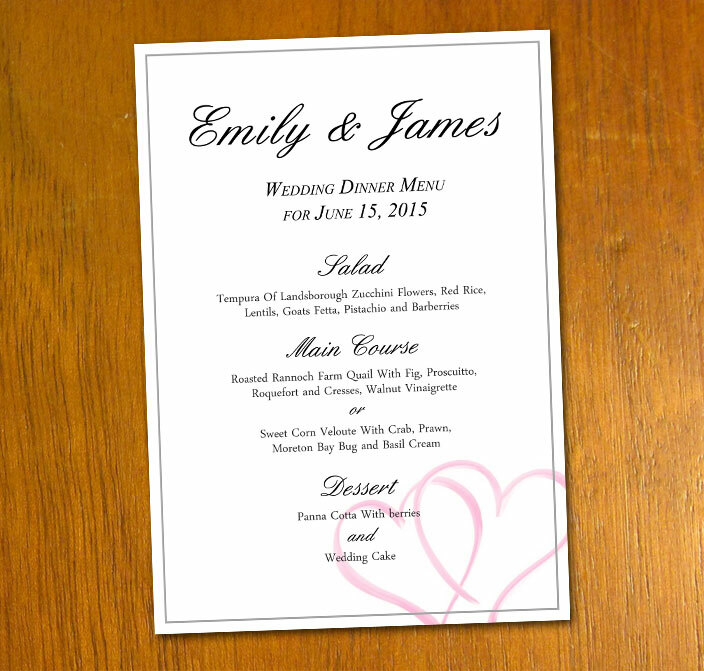 The names of the bride and groom, the date of the wedding dinner, the salad, main course and dessert displayed in the caligraphic font English.ttf and the professional font DaunPenh. Available to download from this website: Wedding Menu. 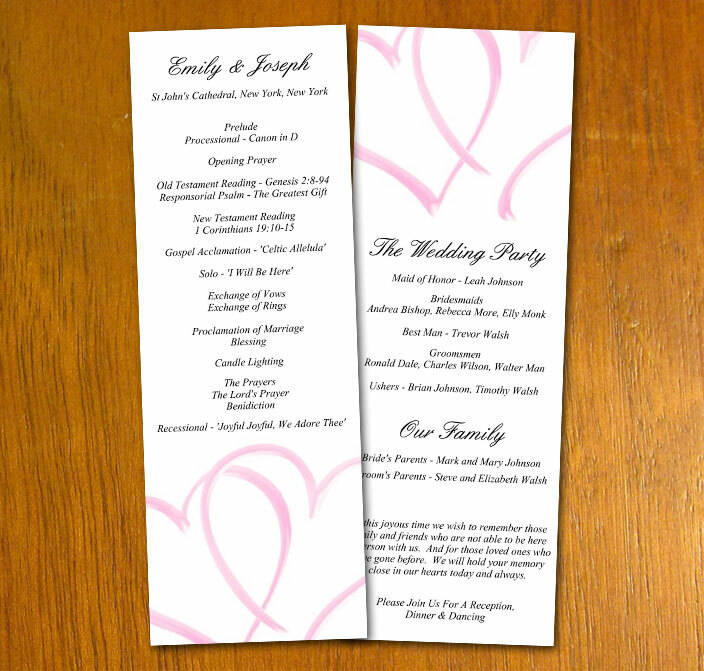 Focusing on the names of the bride and groom, this invitation is sure to generate excitement in its receiver. The invitation is addressed from the parents of the bride or groom and lists event details and RSVP details. 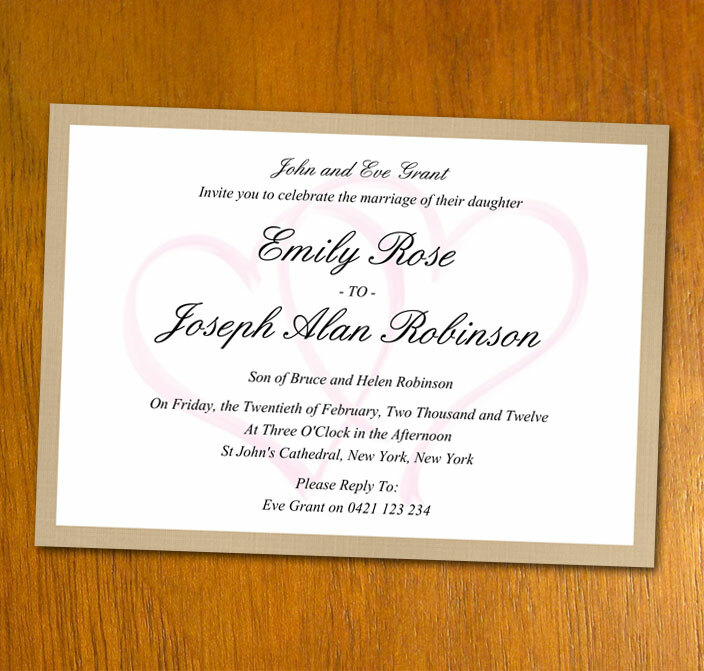 Available to download from this website: Wedding Invitation. Includes information about the proceedings of the day on the front side, and on the reverse side includes details of the wedding party and family. Available to download from this website: Wedding Program.